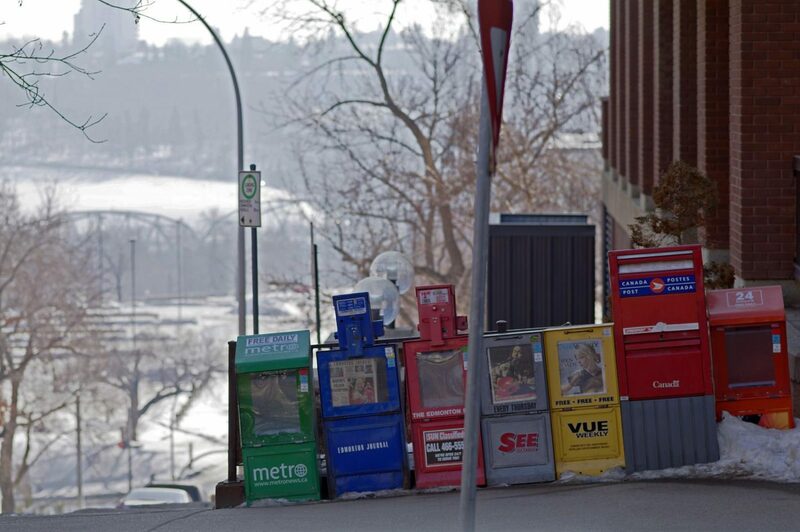 Newspaper boxes in Edmonton, Alberta. Photo courtesy of Kurt Bauschardt/CC BY-SA 2.0. The federal government’s recent announcement of financial support for news organizations has been met with understandably wide-ranging reactions — from relief to skepticism, and worse. Among other measures, the package will incentivize consumers to sign up for digital news subscriptions and subsidize publishers through a tax credit on salaries paid to journalists. It’s good news for imperilled news businesses, but even some who share the government’s expressed concern over the sustainability of independent information about public affairs have expressed misgivings. The doubters include many journalists — the very people who stand most to gain from the promised support. So what gives? It’s all about definition — and independence. 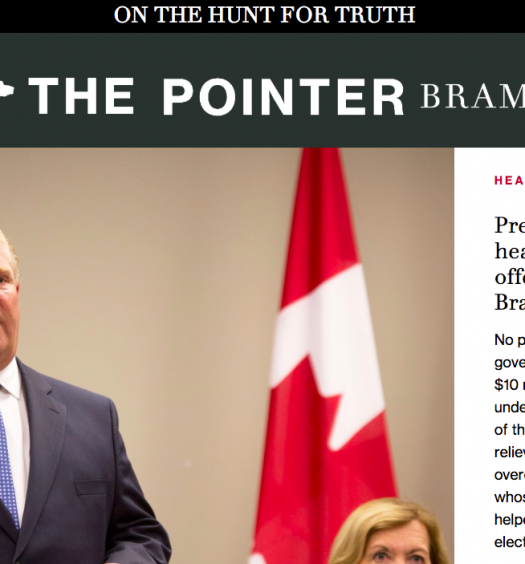 The argument for taxpayer subsidies rests on an immutable truth: It’s become tough, and sometimes impossible, to turn a profit by providing communities with verified information about public affairs. People want information to come free, like so much on the internet, and the economics of online advertising favours Facebook and Google over news providers. Principled counter-arguments to the government’s plan, however, likewise hinge on a perceived threat to the independence of a free press. To explain, here’s a deceptively simple political-philosophy pop quiz. ● Democracy functions best when the relationship of journalists and governments is one of tension, rather than interdependence. ● In a healthy democracy, governments today need to spend taxpayer money to sustain a free and independent press. ● Freedom of the press means that no one needs the government’s permission to produce and publish journalism. The answer may be “all of the above,” because contrary to first appearances, the three statements aren’t contradictory. The United Kingdom, for example, is arguably home to the world’s rowdiest, most indomitable reporters and editors. Thousands of that country’s journalists benefit from a legislated universal tax (the so-called radio licence) that’s kept BBC’s news division vigorous enough to boast a global digital audience nearly 10 times bigger than Canada’s entire population. jobs at CBC-Radio Canada depend for their continuance on the largesse (or otherwise) of annual federal budgets, because there’s no Canadian equivalent to the BBC’s longer-term legislated assurance. Now, the government plans to extend public-purse subsidies directly to the salaries of privately employed journalists. But who and what is a journalist? This question has stumped some tough minds over the years, including that of former Chief Justice Beverly McLaughlin. So, Chief Justice, one might ask — what is a journalist? On this, McLaughlin declined to pass judgment. In 2011, the problem of defining journalists scuppered the country’s first substantial proposal of government support for news media. Laval University Prof. Dominique Payette delivered a carefully researched and well-argued report to the government of Québec describing a crisis in the availability of local news that escaped attention in the rest of Canada until some years later. Payette recommended legal recognition of professional status for journalists and taxpayer-funded benefits to organizations that employ members of this order. The idea was initially welcomed by Québec’s government and by many journalists, but eventually got dropped due to a fractious debate among journalists about how it could be implemented. Opinion among anglophone journalists, meanwhile, was solidly dismissive — many persisted in misunderstanding the proposal as implying a required “licence” for practising journalism. Coincidentally, around that time, my research was focused on a search for signs of consensus about what defines journalism. But the only consensus to be found was that a definition was neither needed nor wanted. For most Canadian journalists, a free press means anyone should legally be allowed to describe their work as journalism. End of story. When I published my theory-building paper on the topic in 2014, I was careful to defer to the prevailing inclusive point of view. I made the case for defining journalism with reference to, among other things, the work of “independent” discovery. As for defining journalists (the workers rather than the work), my argument discreetly evaded its own obvious conclusion — if journalism can be defined, then a journalist is simply a person who practises journalism. The inclusive position will no longer be tenable once the government offers tax breaks to companies that employ journalists. 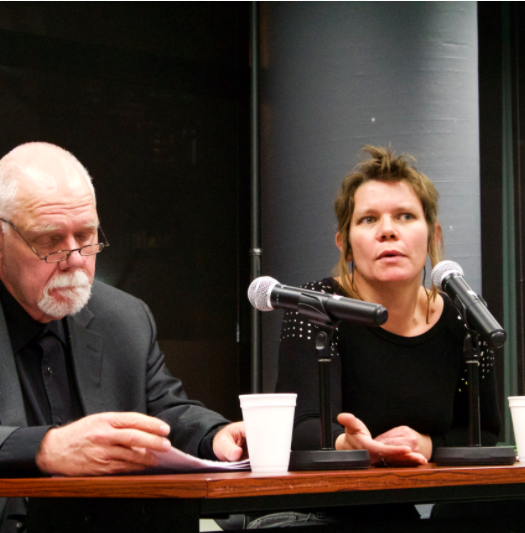 The government proposes to establish “an independent panel” to “define and promote core journalism standards, define professional journalism, and determine eligibility.” And who will be on this vital panel of definers? Journalists, of course. Circularity aside, this might be viable as a short-term pragmatic solution. Most appointees to the independent panel will likely be current or former minions of legacy news brands, disinclined to recognize traces of their traditions in nimbler, edgier upstarts aimed at unconventional audiences. But attention to diversity and terms of appointment will foster open minds and a sense of fairness. So too will a clear mandate, crafted through non-partisan consultation that favours neutral criteria, perhaps including membership of either the francophone Québec media council or its anglophone national counterpart. But long-term, there is a more intuitive and less compromising way by which professions “define” themselves, set “standards” and determine “eligibility” for government recognition. This more conventional system for managing professional recognition works well enough for engineers, lawyers, plumbers and many others. Governance for these professions and trades does not involve government-appointed panels, whose own biases must eventually collude or collide with those of their effective employers to foster actual distrust or subtle corruption. Rather, these other socially important professionals are governed by their peers in legally recognized official bodies usually known as colleges or institutes. Their central goal: To protect the integrity and independence of their profession. The system is called self-regulation and it already applies to journalists in France, Italy and many other industrialized democracies that boast markedly undeferential news cultures. to publish news (whether verified or fake). In short, a system of self-regulation could do no harm and much good. Mostly, it would simply recognize the plain reality that journalists’ work is vital enough to foster, distinct enough to define, and, today more than ever, vulnerable enough to defend.